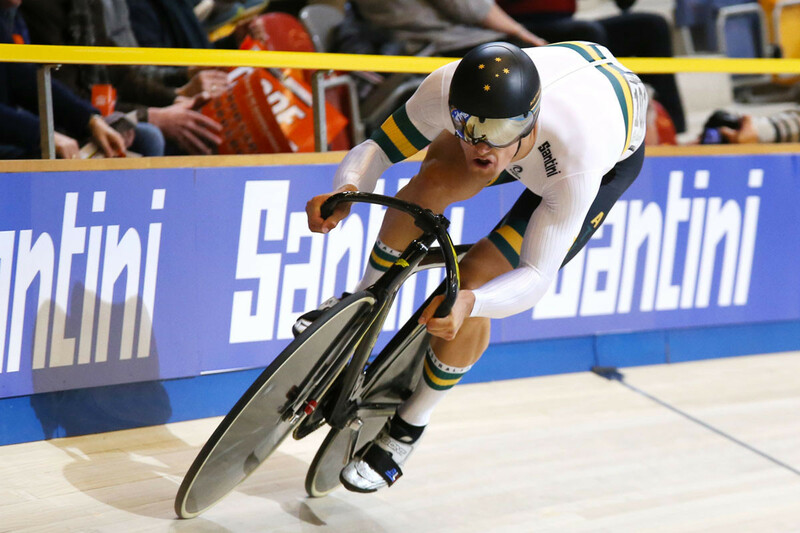 With an eye on developing athletes for the 2020 Olympics in Tokyo, Santini-sponsored Cycling Australia (CA) is sending a stacked team to the UCI Track World Championships in Pruszkow, Poland (February 27th through March 3rd). Regardless of the development mission, the team has the experience to be competitive in Poland. 26-year-old Glaetzer, for example, competed in the team sprint event at the 2012 Summer Olympics, won the 2012 World Championship in the team sprint (with Scott Sunderland and Shane Perkins), and represented Australia in the men's sprint, men's keirin, and men's team sprint events at the 2016 Summer Olympics in Rio de Janeiro, Brazil. At the 2017 Track World Cup in Manchester, England, Glaetzer became the first rider ever to break the 1-minute mark for the 1km time trial at a sea-level velodrome. Annette (Nettie) Edmonson should also perform well in Poland. The 27 year old won gold medals in both the Omnium and Team Pursuit at the 2015 Track World Championships in France, gold and silver medals at the 2014 Commonwealth Games in Glasgow, and was also a team selection for the 2012 London Olympics (where she won bronze in the women’s omnium) and the 2016 games in Rio. Team Australia will finalize preparations in Adelaide before departing for Poland. The team will be wearing both Santini competition clothing (skinsuits, training kits, and accessories) and Santini-made casual clothing. Follow the Pruszkow, Poland UCI Track World Championships at uci.tv. To learn more about the clothing we supply to the team, check out our Australian national team kits here.